Spring is in the air! 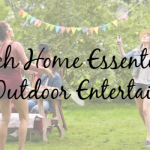 As the weather starts to shift and the days lengthen, you can’t help but notice how more and more people are enjoying the outdoors, exercising, lounging and dining al fresco. The snow is melting in the North (at least most parts). 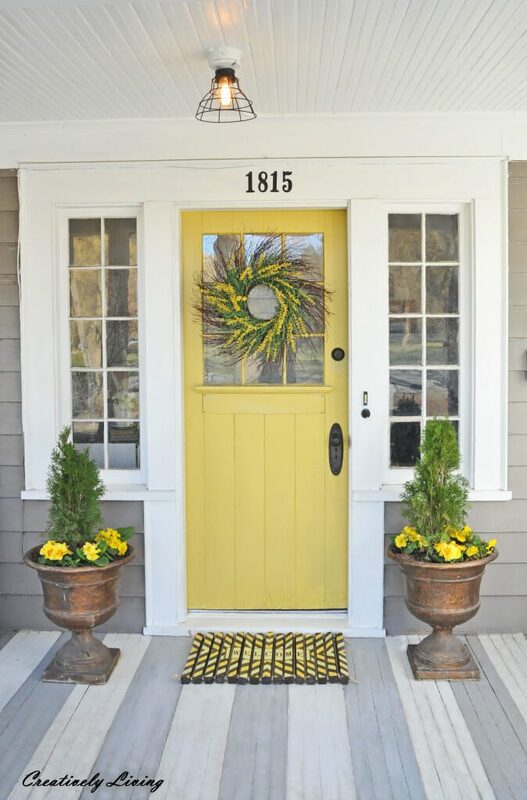 In the South, we can start to see grass turn green and the dogwoods are blooming, which is always a sign that it is time to freshen up those porches to take advantage of these long beautiful days. 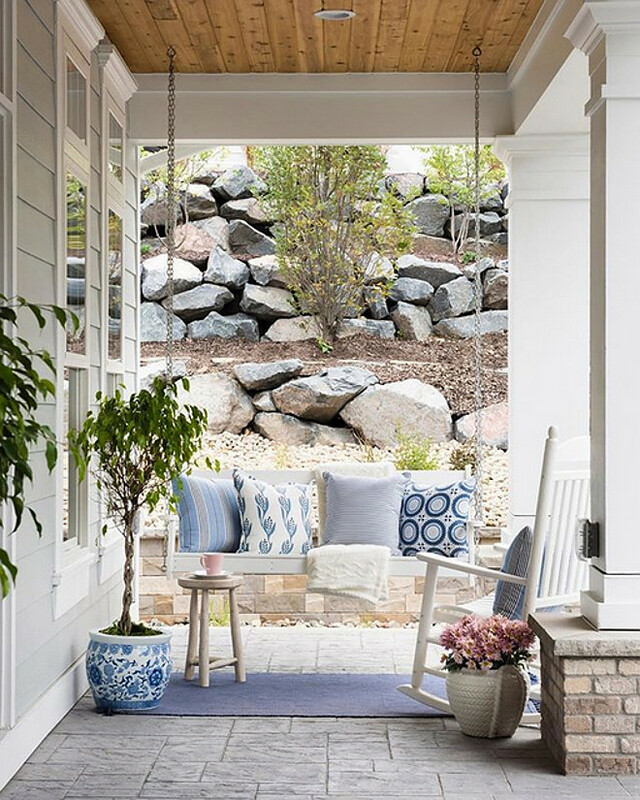 Here at Cottage & Bungalow, we want to help you to create a front porch that is welcoming for guests, the community and yourself. A porch is definitely a place for relaxation and cool breezes. It can improve the look of your home and allow you to spend quality time with family and friends. In fact, many consider the porch a room in and of itself. A typical porch is about fifteen by fifteen. It doesn’t really have to be large but it must have enough room around the furniture you place there. Adding a rocking chair makes for a perfect spot to have a cup of coffee or read. 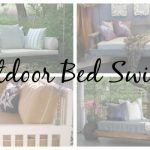 Make seating even more interesting by adding unique options such as a bed swing, Adirondack chairs or even a comfortable couch! 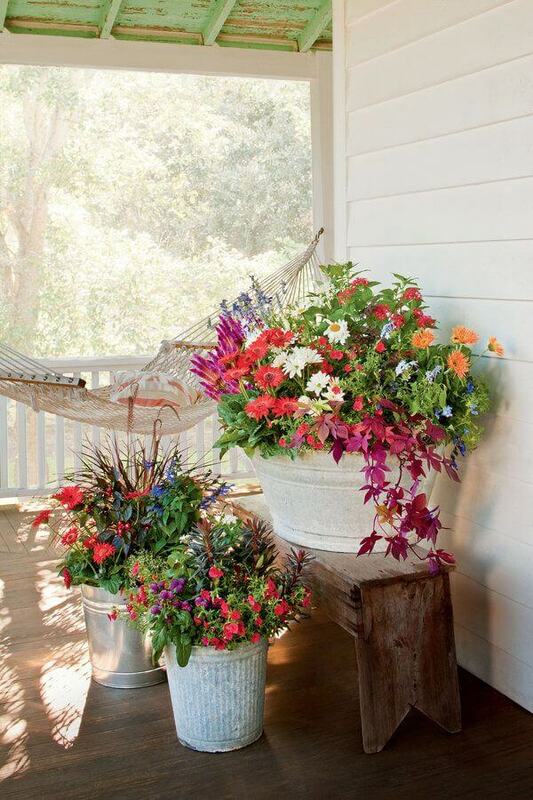 Starting a garden on your porch is a ‘must do’. Something low maintenance is ideal and if not green plants or flowers, herbs would suffice. Naturally brightly colored flowers will always do the trick whether you place them hanging around the porch or in flower pots and containers on the stairs. Flowers always make for an inviting space. Choose your plants based on the amount of sun your porch gets and what time of day. Verbena, Cape Daisy, Petunias, and Pentas work well for the sunny porch. Fuchsia, Coral Bells, and Begonias work well for the shady porch. 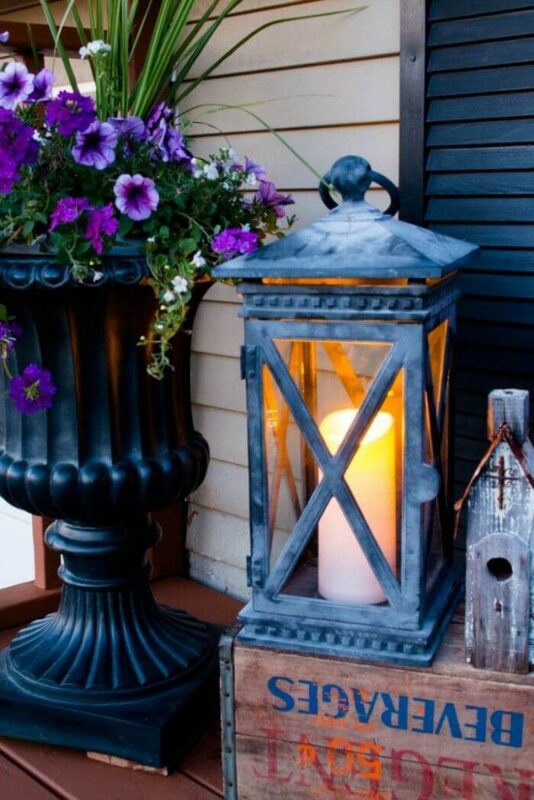 Lighting is key to enjoying your porch past sundown. 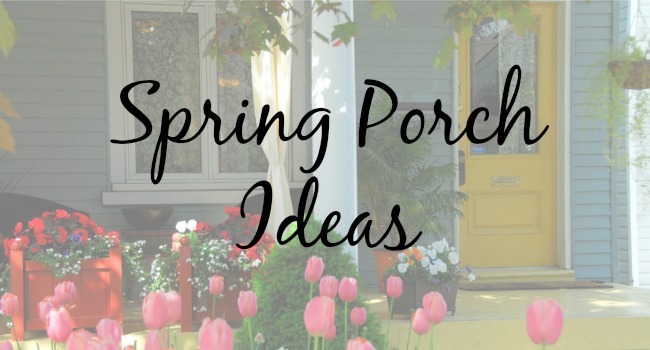 Use designer fixtures to enhance the ambiance and make your porch sitters feel even more at home. 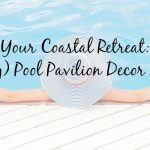 Hanging coastal lanterns or even a swanky chandelier is just the thing. Make sure your porch is well lit. Not only will it help with the ambiance, but it is also for safety, and to discourage break-ins. It doesn’t have to be harsh. Just a hanging lantern or lit scones on each side of the front door will set the cozy tone you love. Source: Homebunch | Bria Hammel Interiors. In addition to colorful outdoor pillows, ensure you and your guests are never more than an arm’s reach away from a beautiful blanket or throw that can provide protection from a cool afternoon breeze or a chilly evening. The Scramble Matelasse Coverlets in our bedding section add fun summertime color and a heap of comfort when you need it. Don’t forget what is underfoot. 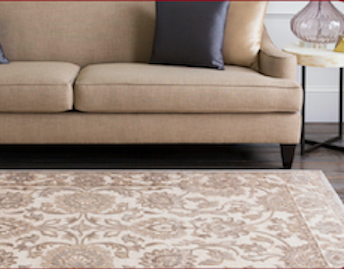 An indoor/outdoor rug helps complete your look while providing extra protection for your flooring. Painting the porch, whether wooden or concrete, always improves the look. Curb appeal not only helps when you are selling your house, but it can make your house more inviting to you and your guests. 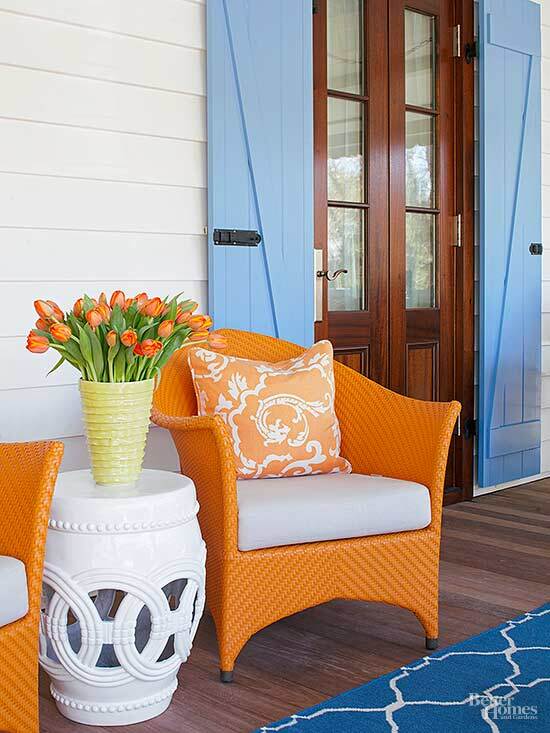 Add even more impact with a painted front door using a color that coordinates to the furniture on the porch and its accessories. Don’t forget the ceiling! 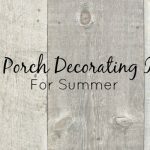 A fun way to add interest to your porch is by painting the ceiling. What started as a tradition in the south – whether to keep away restless spirits or to repel insects – has quickly become a popular outdoor design technique. Painted porch ceilings are popping up all over the place.